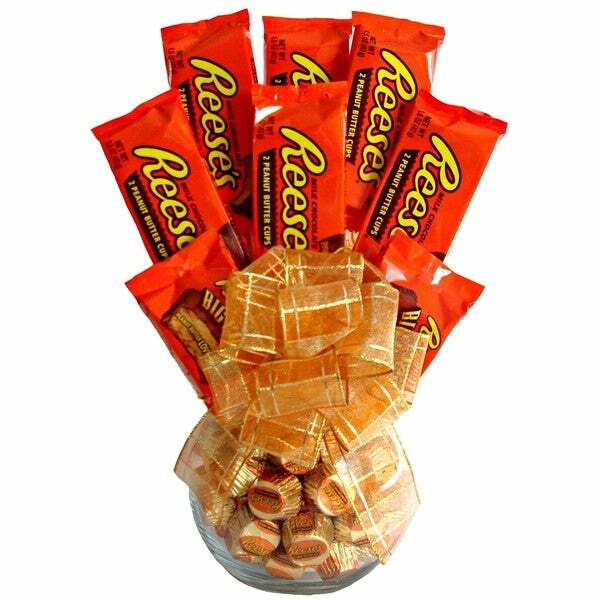 Delight a chocolate lover with this vase filled with Reese's peanut butter cups. The attractive translucent vase sports an orange ribbon and is ready for immediate giving. So as you can see in the picture I am attaching this product looks nothing like the picture shown. Also I imagine that it doesnt have the same about of candy as the one pictured either considering how small the actual one is vs what the picture makes it look. I can handle that the amount of candy wasn't exact or even close for that fact but it for sure is less than pleasing in person vs the picture description. Very sad considering it was a gift that was already late. 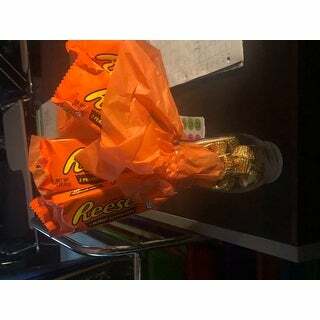 It honestly is about *** at best of candy total then add the cheap vase that it came in; it doesn't even seem worth the price point paid. DONT BUY! I understand that when ordering a product as such it may not be exactly as pictured. 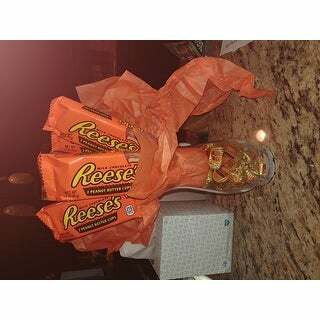 However, my vase was smaller and the bouquet pictured shows 8 reese’s and mine only contained 5. On top of being unhappy with the product, I ordered this product a week out from V-Day and it was supposed to be delivered on Valentine’s. It did not arrive until the 19th. Overall, very disappointed.